Thank you for praying with us about our need for larger facilities with more parking. God has heard and answered your prayers by giving us an amazing piece of property. The property has enough land to park 30 cars, a 3 story, 7300 sq. ft. building, and a 4 story, 5600 sq. ft. building; all of this, for only $200,000. We will be converting the 3 story building (pictured here) into our new church building. Our new property is located right next to an exit to a major four-lane highway. This is truly an amazing gift from God. 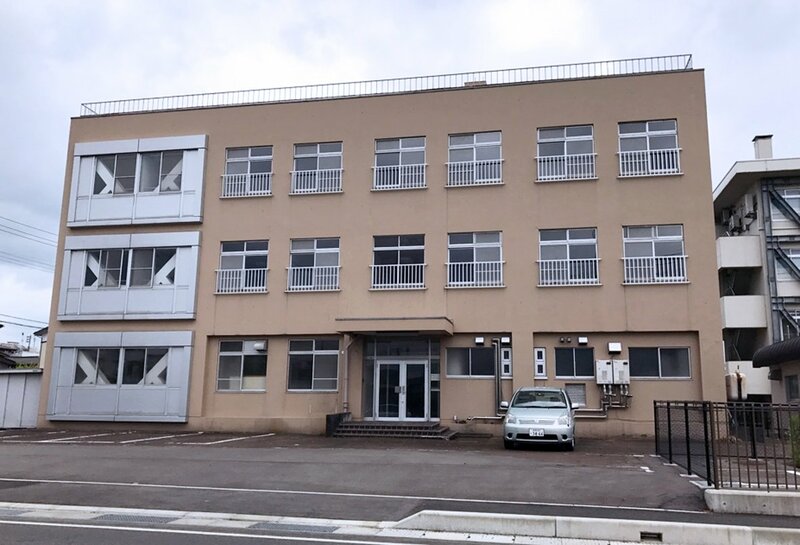 We are excited by the new opportunities this property will give us as we seek to reach more Japanese for Christ. Some of us at the new building. Anytime we seek to move forward for God, Satan seeks to hinder us in any way he can. The Lord has graciously provided us with not only the funds to buy these new facilities, but with some funds left over for renovations. However, after talking to our builder, we realized we don’t quite have enough funds for all the necessary repairs. For 31 years, you have worked along side of us here in Japan. In large part, our new building is a result of your faithfulness to pray and give. We continually thank God for your faithfulness. We need your help as we move forward and open the doors of our new church building. Perhaps the Lord will lay it on your heart to take up a special offering for our building project. Your offering would be a huge blessing to our work in Nagaoka. Your gift would help us take full advantage of this amazing opportunity the Lord has given us. If the Lord leads you to help us with this project, please designate your gifts to “Agape BBC Building Fund”. Last week, Cindy came down with a severe bout of IBS. She has been dealing with a less severe version of IBS for some time now, but this bout has been far more severe than those before. She has had a fever and the intense pain of intestinal cramping. A few days ago, she started a 21-day fast to help kill off the bad bacteria in her intestinal tract. Please pray for Cindy. Pray for strength to complete this 21-day fast and for God healing. Thank you for faithfully praying for us. God has blessed your faithfulness by giving us with a new building and new opportunities to reach even more Japanese for Christ. God bless you.